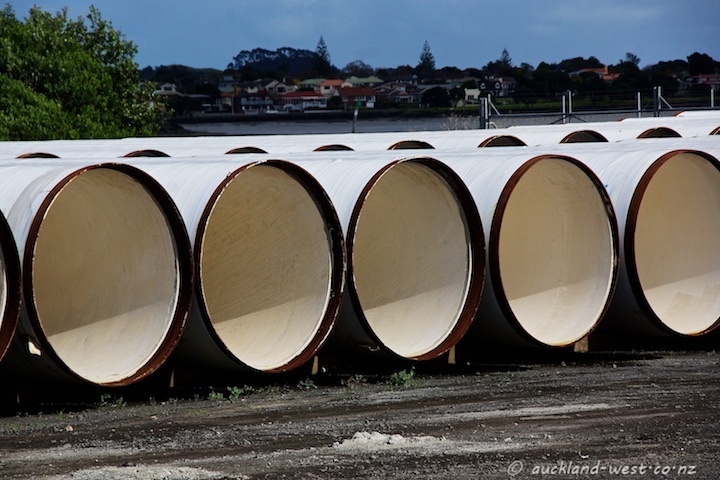 Pipe storage at Onehunga wharf. It does make for quite a good shot! Pipes at parks when I was growing up were about this size, they were great for playing it.